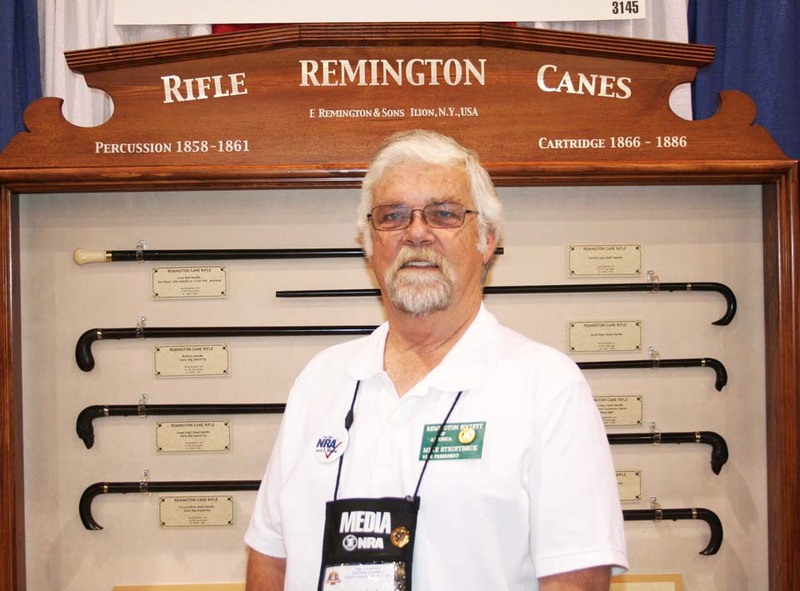 RSA VP Mike Strietbeck’s display of Remington Rifle Canes was a big hit at this year’s NRA Annual Meeting in Phoenix, Arizona – May 15th-17th. 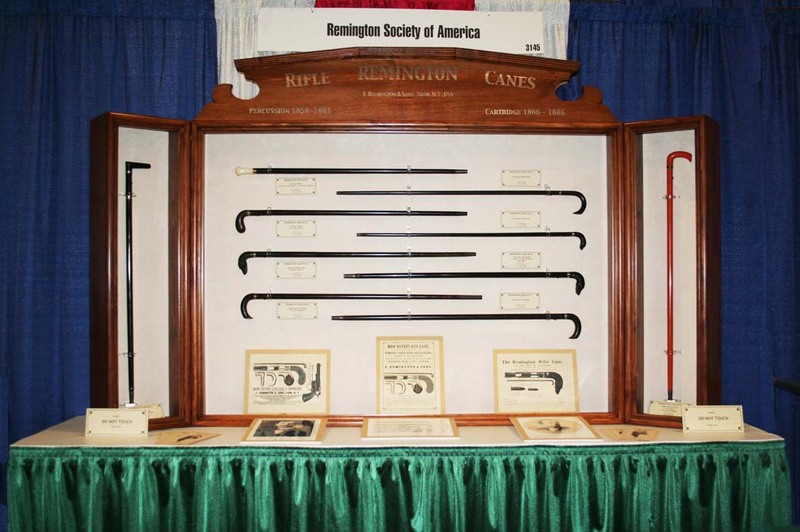 The display won the “Best Educational Display Award – Pre-1898”, and Mike’s Coral colored Rifle cane (one of only three known) won a coveted “NRA Silver Medal”, one of only ten awarded each year! 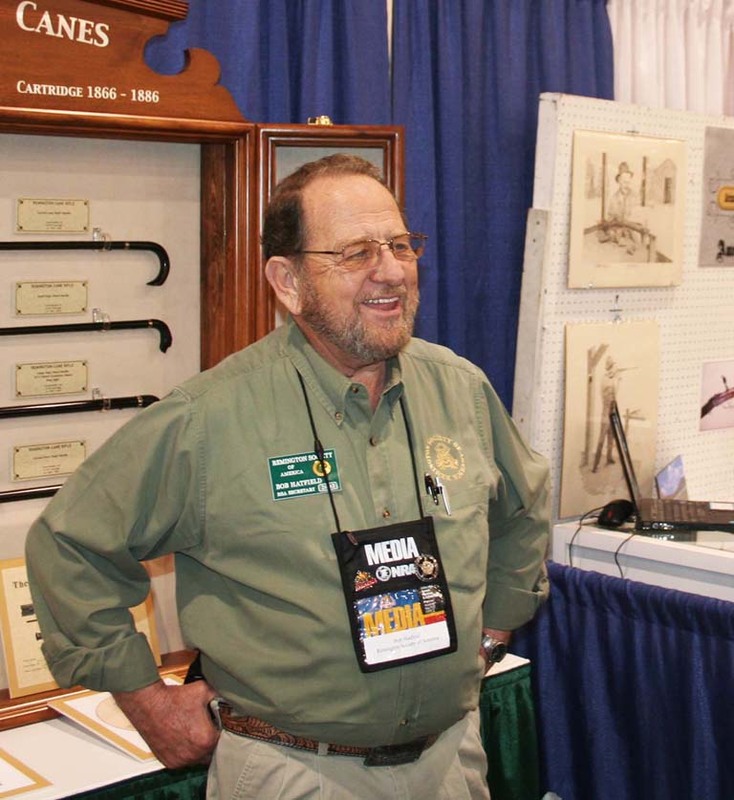 Mike represented the Remington Society of America… one of 27 gun club organizations which exhibited at the Annual NRA Meeting this year. This is the 18th straight year the RSA has exhibited at a NRA Annual Meeting. 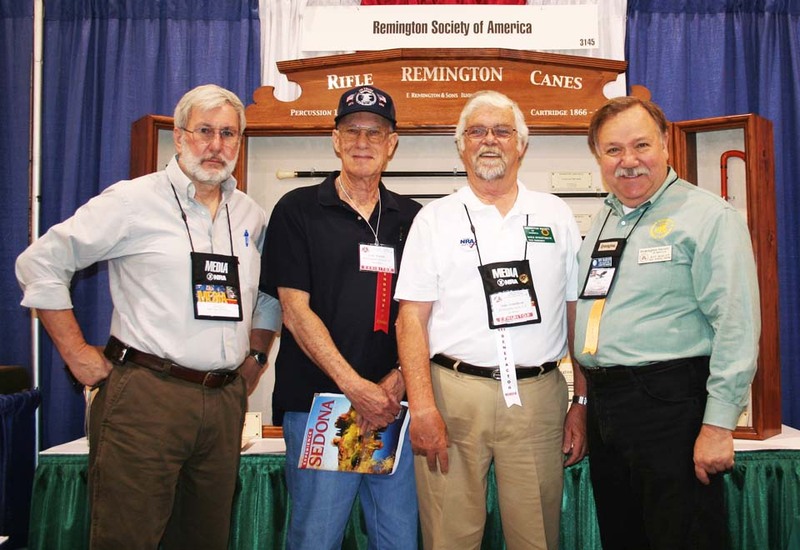 RSA members who volunteered their time at the RSA booth included Mike Strietbeck, Joe Poyer, Bob Hatfield, Lyle Branch and Roy Marcot. Upwards of 60,000 NRA members walked through the doors during this three-day extravaganza, which included hundreds of exhibitors, meetings, lectures, and great food. 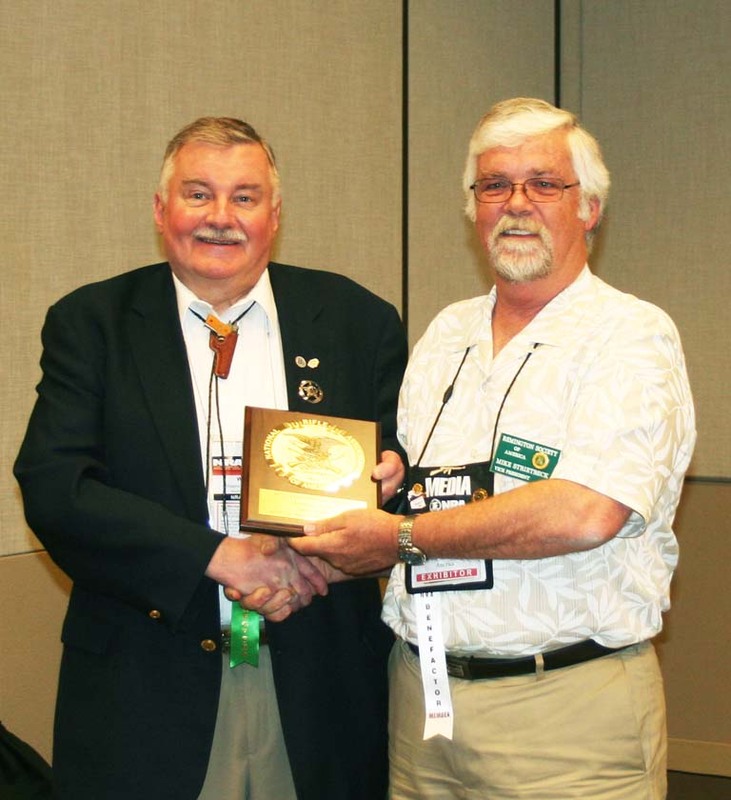 The NRA Annual Meeting in 2010 will be held in Charlotte, North Carolina – May 13th-18th. 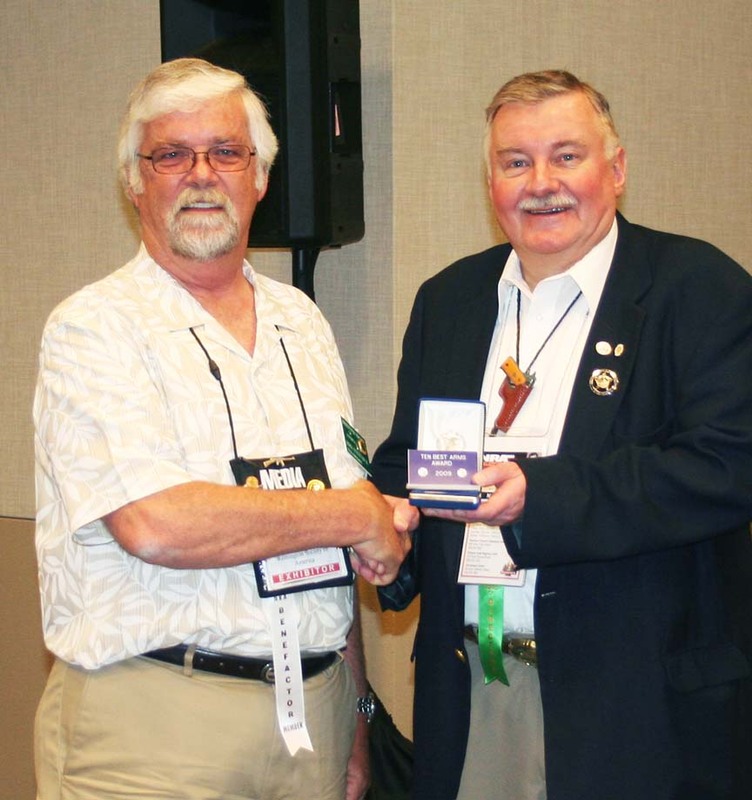 RSA President Rich Shepler has volunteered to exhibit his Remingtons there, and requests that RSA members who are planning to attend will contact him to assist in greeting visitors.